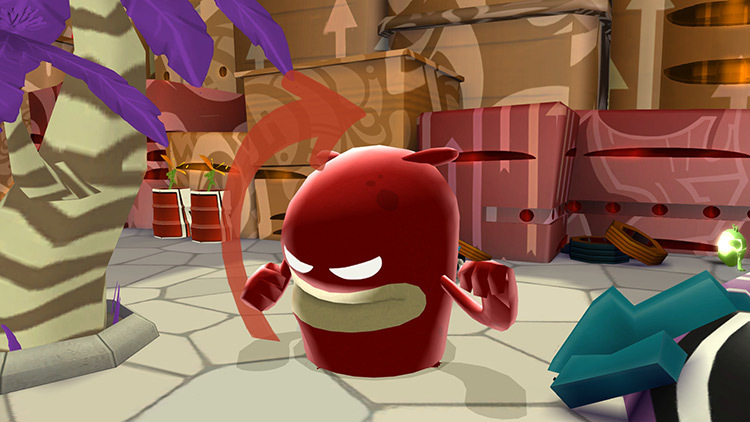 de Blob is a prime example of a game that has stood the test of time because of both its simplicity and originality. Its gameplay is timeless, its humour tickles the young and the old, and its soundtrack is both dynamic and infectious. This Switch port still doesn’t address the game’s camera or control issues, but they’re worth working through to enjoy an experience that rarely fails to put a smile on your face. 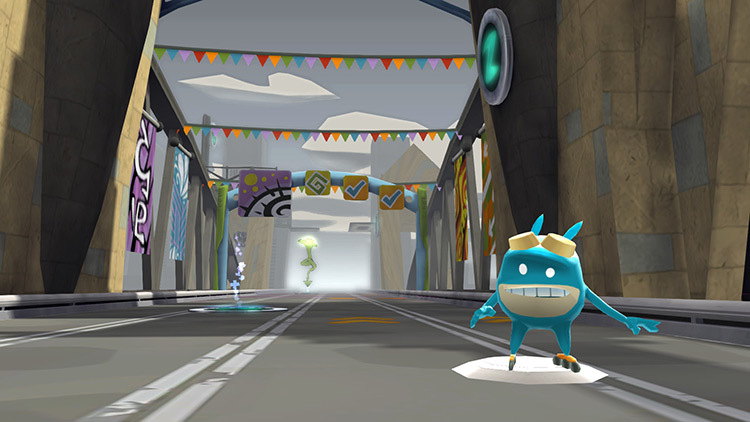 It may well be almost ten years old, but de Blob is still a very welcome addition to the Switch’s library. It is by no means perfect, with several camera and control issues and a slight sense of repetition dragging the game down somewhat, but it makes up for these problems with colour, creativity, and fun. From the Minion-style cutscenes to the adorable, “yays,” from rescued residents, we can see kids and big kids having a great time here. 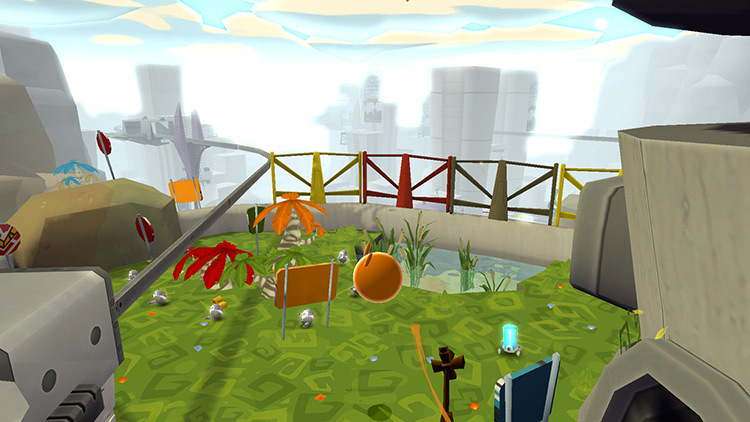 Ten years after its initial release, De Blob still holds up. If you were lucky enough to have played it on Wii it is certainly worth a second look. 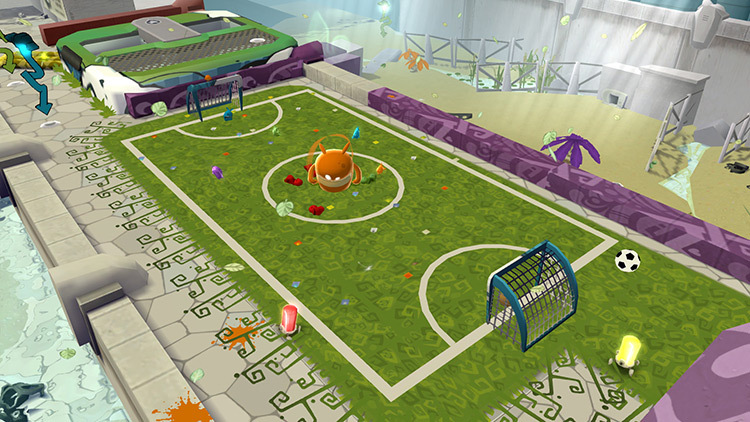 Players who have never played De Blob should take the time to play. Even if the game was just single-player, it is worth it but with the addition of multiplayer it is definitely worth the $29.99 price tag. Players who enjoy platforming games and have not played this game should give it a try. 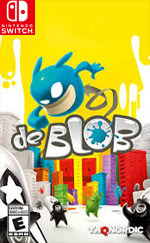 Eso sí, de Blob destacaba bastante más en su día y en el catálogo de Wii, puesto que la remasterización de Switch no es lo suficientemente diferencial como para justificar una nueva compra para los que ya lo hubieran jugado antes. Y los que no, tampoco hallarán una obra tan distinta como hace diez años ni mucho menos un clásico imprescindible. 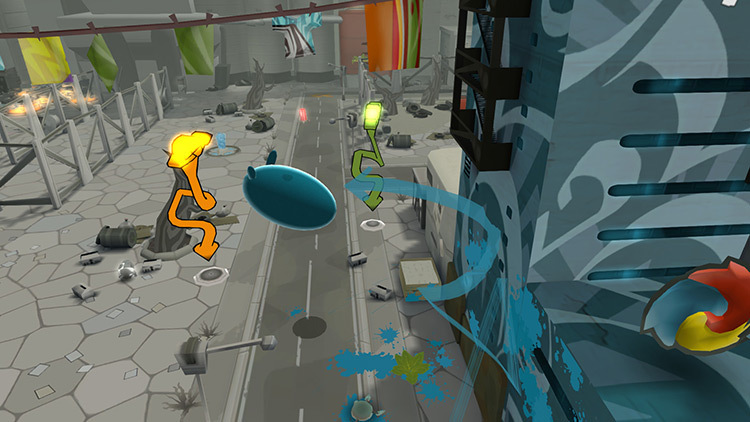 A distanza di dieci anni, De Blob sbarca anche su Nintendo Switch, dopo aver navigato in un simpaticissimo mare di colore. Porta con sé un puzzle platform immediato e divertente, ma purtroppo anche tutti gli scivoloni del passato: telecamera, intelligenza artificiale e movimenti del protagonista non sono stati rivisti né corretti.